Any golfer can agree, choosing the right golf balls means that they have the right casing material, design, and cover thickness. That was our top criteria for selecting the best golf balls. 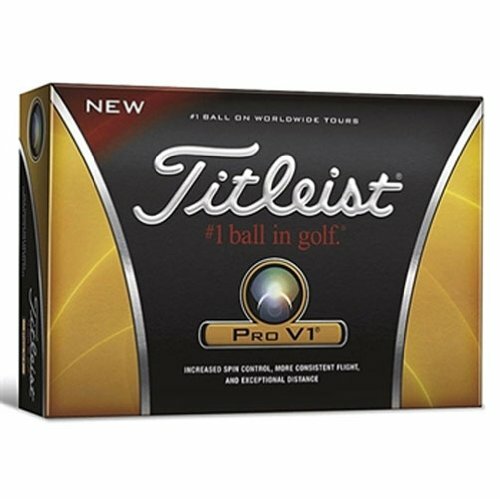 If you’re ready to hit the links immediately, Pro V1 golf balls by Titleist scored high in every category we researched and is our top pick. These top rated golf balls are favorites among customers because they deliver consistent, professional results, and they come at a price that the average golfer can afford. Even more importantly, they provide efficiency and benefits that go beyond just the average golfer. When you’re ready to seriously up your game, then it’s time to invest in golf balls that exhibit superior technology, and these top rated balls do just that. Golfers underestimate the power that a well-designed golf ball can contribute to the precision and distance of their game. Don’t be one of the ones that overlooks the benefits of this important piece of sporting equipment. When it comes to having the perfect golf balls, it’s all about distance and durability. For years now, Titleist has been the leader in high performance golf balls, and their Pro V1 and Pro V1x series are leading the way, with responsive ultra-performance spherically tiled 352 urethane elastomer covers, and tetrahedral dimple designs. With this kind of quality construction, the Pro V1 shows advanced performance, providing unparalleled distance and strength that golfers have come to depend upon. Now, you can also enjoy increased spin control and more consistent flight. Featuring new innovative ZG process core technology, you get a responsive ionomeric casing layer with 3 axes of symmetry and enhanced aerodynamics for a penetrating ball flight that can even hold its line in the wind. With all these features you can be guaranteed exceptional distance, consistent flight, drop and stop green-side control, a soft feel on all shots, enhanced durability, and tour-proven quality. Lastly, with AIM technology, otherwise known as Alignment Integrated Marking, you are allowed a side-stamp that helps to alight your shot each and every time. This brand has proved yet again that they can deliver a ball with a very low spin off a driver and long irons, so you can enjoy longer distance and more consistent flight. This performance is only enhanced by the large, high-velocity dual core with a soft center design. With a resin core that is more responsive, lighter, and faster than rubber, you’re going to see that these golf balls from Nike can truly outperform the rest. Enjoy enhanced speed and spin, so that you can hit longer, more penetrating shots. You’re going to start generating maximum velocity on impact with this 3 piece ball, and experience more distance and durability than ever before. 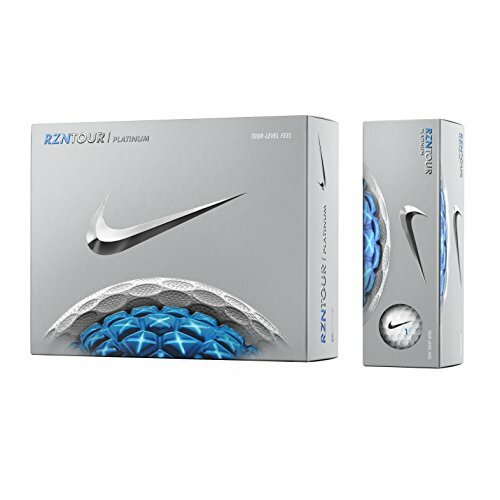 We all know that Nike is the leader in sports equipment, but only recently did they amp up their golf game with these fantastic RZNX golf balls. With this 12 pack, you get an ample supply of high quality balls at a price that you can afford. Enjoy enhanced technology and better results on the golf course, and you’re quickly going to become a Nike believer. These golf balls are top rated because customers find that they deliver consistent results that are better than the competition. Enjoy more ease and efficiency on the course, as well as enhanced speed, spin, and distance. Lightweight and durable, these golf balls from Nike are changing what golfers have come to expect from their golf game. These wonderful golf balls from Bridgestone Golf feature improved new optimized covers for enhanced aerodynamics, and all dual dimple technology for increased distance. These are considered to be the softest multi-layer balls on the market, and they’re even softer than they were before. Reformulated with a cover that allows for increased softness without enhancing driver back spin, these balls are outperforming the rest, and their iconic bright white cover is always easy to spot on the green. These are top rated golf balls because they do truly live up to their claims, and they consistently deliver results that both professionals and hobbyists alike agree is better than the competition. 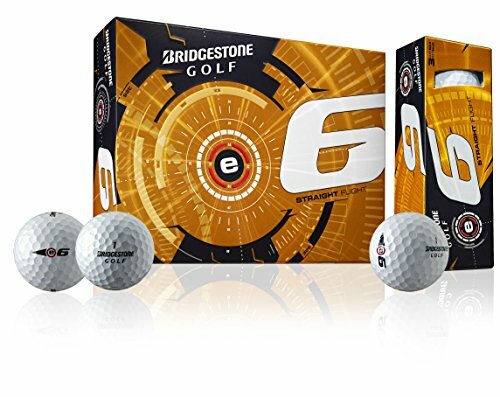 When it comes to purchasing the perfect golf balls, it’s all about performance, consistency, and results, and these balls from Bridgestone truly deliver on all accounts. These top rated golf balls have proved that they can enhance the game, distance, and enjoyment for most golfers out there. They get high ratings because they come at a reasonable price, are well constructed, and have a great feel that golfers have come to love. You can pretty much stop your search right here and invest in these quality golf balls, or you can choose to move on to the buyer’s guide to learn more about the construction of golf balls, and which are designed for different types of players. Finding the right golf ball for you is all about knowing yourself and knowing your swing. When you arm yourself with this knowledge, you’ll be well on your way to finding the perfect ball for you. Golf ball technology has been greatly advanced in recent years, but this doesn’t make golfing any less challenging. Golf is a tremendously challenging game of accuracy and consistency, and is not just a game about distance. Golf balls are designed to fly farther these days, but that doesn’t necessarily mean that they fly straighter. As golf technology continues to advance, finding the right ball is as important as finding the right club. Many golfers will become brand-loyal when it comes to golf balls, and there are many different specifications that need to be considered before choosing the right ball for you. This guide is meant to explain the various kinds of balls, and the terms that you need to understand when selecting the right ball for you. A golf ball’s construction is of the utmost importance, as it determines the way it will react to contact with your club. Let’s take a look at the most common golf ball construction types that you will encounter. One-Piece Golf Balls: This is the most basic kind of ball, and the least expensive to produce. It is designed primarily for beginners and driving ranges, but it is seldom used for playing ball out on the green. Most one piece balls are made from a solid piece of Surlyn with dimples moulded in. These balls tend to be inexpensive, soft, and are incredibly durable. However, these balls will not afford you the distance that you crave due to lower compression. Two-Piece Balls: The solid core of these balls is typically a high-energy acrylate or resin, and it will be covered in a tough, cut-proof blended cover that will afford you more distance than any other kind of ball. These balls are hard, and covered in a specialty plastic. Three-Piece Balls: The three-piece balls will have a solid rubber or liquid core, and a layer of enhanced rubber with moulded cover of durable Surlyn, Urethane, or balata-like material. These balls are softer and will afford you more spin. This makes for a better level of control over the ball’s flight. When a manufacturer adds more layers to a ball you get more spin-separation for enhanced performance with a driver in comparison to an iron or wedge. Four-Piece Balls: The various layers of the four-piece ball will serve different purposes. These layers work together to offer the longest hitting and softest feeling golf ball. The inner core is the first layer, and it’s a rubber solid that is designed to offer incredible distance when used with a driver. The next layer is the inner cover, and it’s designed to transfer energy from the strike to the hot core. After this you have the middle cover which is an extra layer. This offers the complete layer which increases driver distance while also producing mid iron spin around the green. Finally, you have the outer cover where you get the true feel of the golf ball. This contains anywhere from 300 to 400 dimples, and it’s the thinnest layer. Usually made from Urethane, this layer is meant to be durable and soft. Five-Piece Balls: The very latest technology in golf ball design is the five-piece ball. This was first mass produced in 2009, and since then, there are several manufacturers that have added this type of ball to their collection. Similar to the three or four piece ball, they have materials and layers that increase the spin separation and performance of the ball. When you’re looking for the highest Tour-level performance, then you definitely want to go with the five-piece ball. They feature three mantle layers, sandwiched between the high performance speed core and soft urethane cover. This is the latest and greatest technology in optimized performance on the course. Low Spin Golf Balls: With low spin golf balls you decrease side spin of your shots, and this allows you to get the ball to fly straighter through the air. Even though the ball won’t travel as far, the lack of spin will give you increased roll upon landing. These balls are suited for players that slice the ball or struggle to get the distance on the ground that they crave. Mid Spin Golf Balls: Mid spin balls will bridge the gap between low spinning balls and high spinning balls. What they do is incorporate the best of both distance and feel of the ball. These balls are aimed towards the widest range of players, and are therefore suitable for most golfers. With these, you get solid distance and varied feel and softness from brand to brand. Most golf manufacturers will have some type of mid spinning ball in their arsenal. High Spin Golf Balls: This particular ball is designed to increase the spin, as the name suggests. When you hit a golf ball, it is released into the air with a certain level of backspin, and this type of ball is meant to increase this spin and encourage a longer carry. If you’re someone who hits the ball right to left with a draw, then a high spinning ball could be perfect for you. You’re not going to see the run on the fairway that either a mid or low spinning ball will produce, but you’ll see advantages around the green. High spinning balls will help to increase the feel around and on the course, which will help to improve your control. Compression measures the deflection a golf ball undergoes when it is hit. This is measured between 0 and 200, with 200 being a ball that shows no compression and 0 being a ball that deflects 5mm or more. You’ll find that most golf balls fall between 50 and 100. The best way to understand compression is to think about a rubber band. If you wrap a rubber band around three fingers once, and then wrap it around three times, you will experience a difference in the level of pressure. This is compression. You use the same amount of material, using the same amount of space, but you’re producing more pressure. Compression creates this increased pressure, and that’s also how it works inside a golf ball. With a low compression ball you get a softer feel, and more distance. High compression balls will give you more control, but they’re used by better players who can produce faster swing speeds to compress the ball with their technique. Golfers shouldn’t underestimate the importance of having the right golf ball in their bag. There are countless kinds of golf balls out there, and that’s why it’s important to do the necessary research to find the perfect ball for you. You need to understand how you’re going to be using the balls, what skill level you’re at, and how much you’re willing to spend. The above buyer’s guide is intended to help you to better understand the technology behind the construction of golf balls, and which designs are suited to which players. Use this information to help you narrow down what style is going to be best for you, so you can get the most out of your swing. In this article, we not only shared the basics about golf balls, but we also highlighted the top rated balls on the market. These are the pieces of equipment that time and again have proved they outperform the rest, and have shown to be beneficial for most golfers. You can be guaranteed that when you buy one of these packs that you’re getting a ball that is going to help to enhance your game, and allow you to enjoy your time on the green more than ever before.